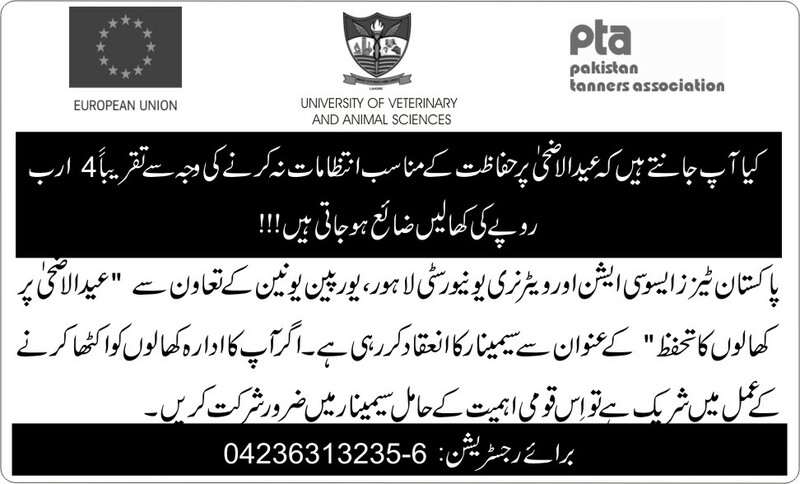 Pakistan Tanners Association (PTA) is a prominent Licenced Trade Body. It is the 2nd largest export earning sector representing highly dynamic and value added industry in leather and leather products besides being job oriented sector. The industry employs about 500,000 people directly, producing fine quality finished leather for export as well as for home consumption. 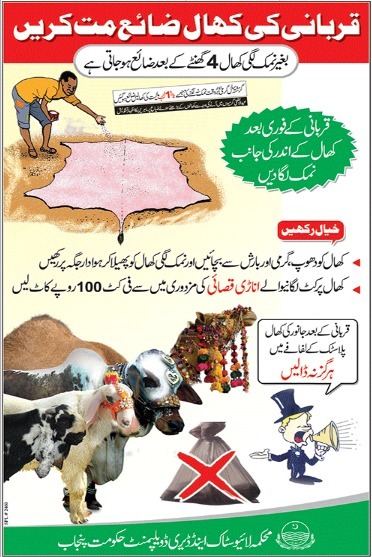 It contributes 5% of GDP and 5.4% to the overall export earnings of the country and is considered to be the most significant factor which plays viable role in revamping economic spectrum of the country. The superb quality of Pakistani Leather & Leather Products are exported all over the world fetching sizeable foreign exchange. 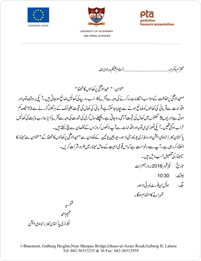 PTA has been organizing a number of International Fairs every year for participation of its interested member exporters to display their eye catching leather & leather products. The export of Leather & Leather Products is progressing gradually in terms of Value, Quantity and Unit Price of the leather articles. 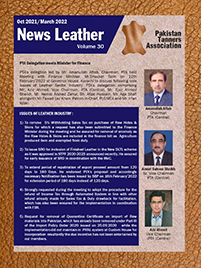 The main buyers of Pakistani Leather & Leather Products are Hong Kong, Italy, China Korea, Vietnam, Germany, Turkey, India, South Africa, Spain, Japan, France & Indonesia. Following are our upcoming international events. You can learn about the rules of our International fairs and delegations by clicking here, or if you wish to participate, feel free to contact us. 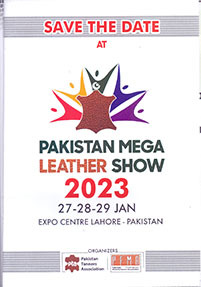 >Pakistan Mega Leather Show | LAHORE (PAKISTAN) FROM 27-29TH JANUARY'2020. >PAKISTAN PAVILION IN SHOES & LEATHER | 10th - 12th JULY, 2019 at HO CHI MINH CITY, VIETNAM. 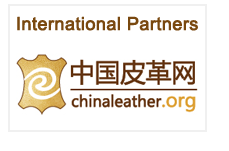 >All China Leather Exhibition | 3rd to 5th September, 2019 at Shanghai, China. 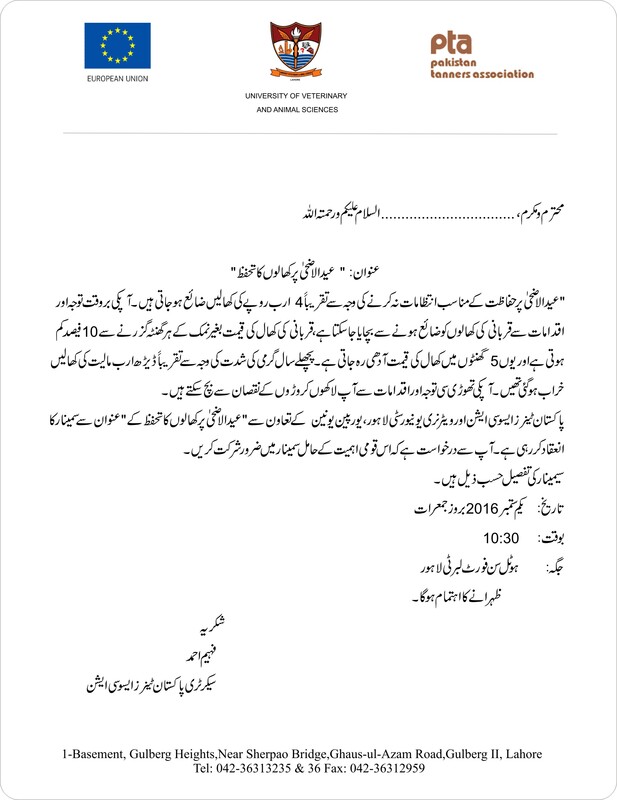 >Pakistan Pavilion in Leathertech | 31st Oct - 2nd Nov, 2019 at Dhaka, Bangladesh.